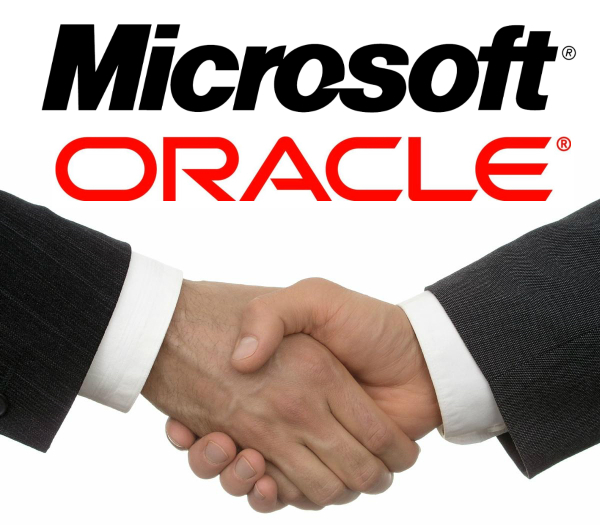 Oracle and Salesforce.com have finally decided to put aside their rivalry and join forces for planting their foot more firmly in the cloud world. The news of Oracle and Salesforce.com, the two tech giants and rivals of many years, integrating their cloud services may have come as a surprise to many. The CEO’s of these two companies, Larry Ellison and Marc Benioff respectively, have known to be involved in a feud, the crux of which lies in their respective interpretation of ‘true cloud’. The two CEO’s are known to pass comments on each other’s cloud strategy, trying to indicate that the other is not a ‘real cloud company’. Despite the ongoing feud, the two CEO’s have known each other for a long time with Benioff being an ex-Oracle employee and Ellison being an early stage investor of Salesforce. Salesforce.com has also been a big customer of the Oracle. The major differences in the way these two thought lies in the very definition of cloud computing. Benioff believes that cloud is not a service that you can provide as a package or can be owned. 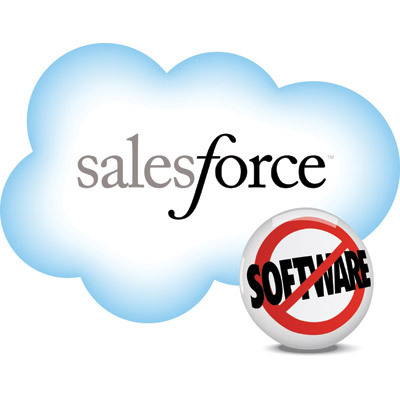 The Salesforce.com is designed in a way that it brings massive data centers and cloud computing to users through their browsers. Meanwhile, for Oracle, the cloud is a hybrid model between a client hosted model and a complete web based interface, therefore addressing the concern of organizations not wanting to share their secure data or operations of physical servers with third parties. Although the two firms differ in their opinion of what a cloud really does, their definitions when combined, somehow may become a complete cloud definition. Based on last weeks announcement of a nine-year alliance-partnership, Salesforce.com will use the Oracle Linux operating system, Exadata engineered systems, the Oracle Database and Java Middleware Platform. 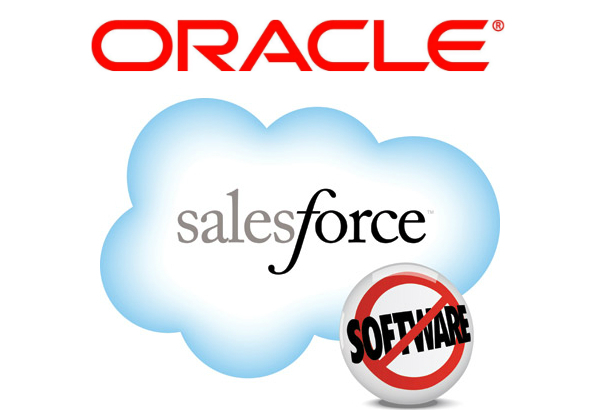 On the other hand Oracle plans to integrate Salesforce.com with Oracle’s Fusion HCM and Financial Cloud, and provide the core technology to power Salesforce.com’s applications and platform. Thus, in reality, both the companies need each other at some level in order to provide better cloud services to their customers. We now have to wait and watch what this partnership will bring forth in the world of cloud.